We are currently observing a couple of different mortality events on both SEANET beaches, and civilian beaches here on the East Coast. These events have been puzzling in the way they have coincided. The first, a die-off of Dovekies, was relatively narrow in its geographic range. Dr. Bethany Rottner, of the Evelyn Alexander Wildlife Rehabilitation Center in Hampton Bays, NY wrote to me asking if we’d seen a lot of dead Dovekies on SEANET beaches starting in December. We had not seen anything particularly unusual, and have not since. But their rehab was inundated with more than fifteen of the little birds. Dr. Rottner also relayed reports from rehabbers farther west on Long Island. Outside of Long Island, we did not see anything out of the ordinary background mortality of Dovekies. Razorbills reported in February to the WHER. Not so for Razorbills. 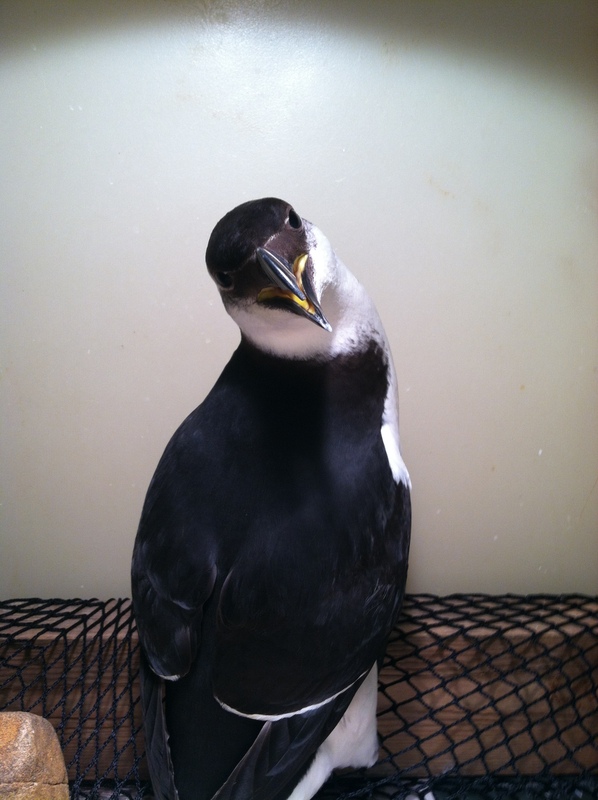 Back in December, we started receiving reports of dead Razorbills all the way down in Florida, where they do not normally spend time. 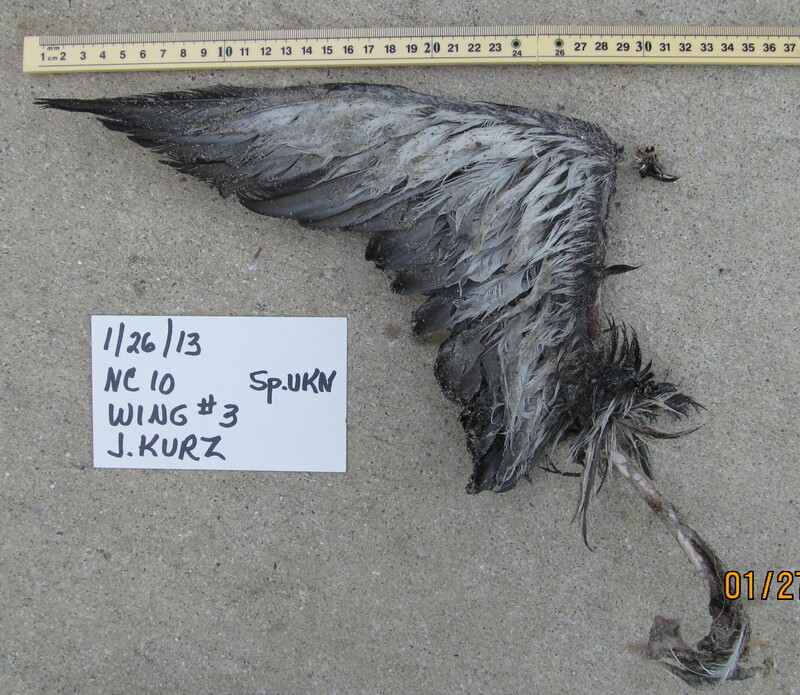 By January, a handful of birds had been found dead in North Carolina. 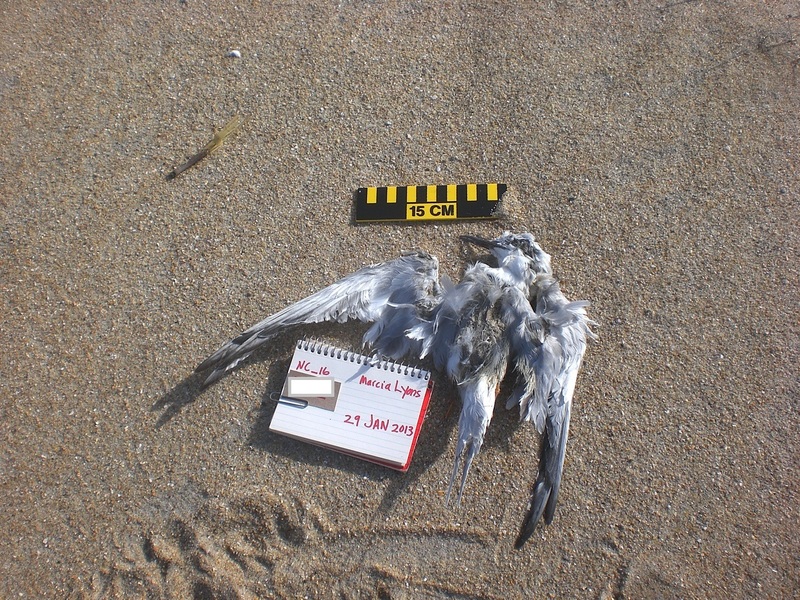 The mortality wave continued to recede northward, with dead Razorbills reported in New York in early February, and then Rhode Island and Massachusetts by mid-February. We continue to get reports from Cape Cod of yet more Razorbills, and our tally is almost 30 birds total for the winter. Compare this with a more typical year, where we might see 3-5 Razorbills reported dead, and they only in the Northeast, not in North Carolina or Florida. Mary Myers always finds dead birds, but this is unusually cool. Atlantic Puffins have been the superstars of this winter’s weirdness though. We almost never get any reports of puffins at all, maybe one every couple years. 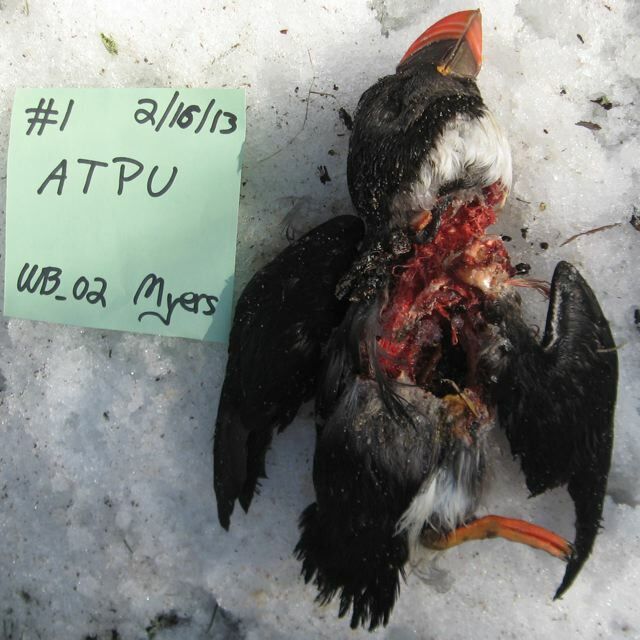 This winter, beginning in January, we started to hear of puffins, both live and dead, turning up on Cape Cod. WildCare in Eastham, MA is currently caring for a couple of puffins who showed up after the big blizzard a couple weeks ago. The birds seem to be making good progress. We did have one report of a dead puffin found well before the storm, but the rest have turned up in the days immediately after. We are watching to see if they continue to be affected, and if we will ultimately see the numbers we’re seeing of Razorbills. Unlikely, and we expect Razorbills to continue to be the winners of this dubious honor of deadest group. How can you help? If you’re a Seanetter, and you find a bird on your beach, that bird is automatically reported to the Wildlife Health Event Reporter (WHER). If you find a bird on a non-survey beach walk, or if you’re not a Seanetter at all, you can also report to WHER. It takes only a moment to set up an account, and you can report any and all sick or dead wildlife you find anywhere in the world! We are trying very hard to fully capture the duration and extent of these various mortalities, and we need your help! Visit WHER to report, or just to check out the data. It’s publicly available and cool to play around with. On Saturday we drove to Salisbury Beach State Reservation. We dropped off Christophe so he could commence his 17 mile run home, and the remaining three of us went out to walk the beach. We go outside a lot, in any weather, but our ventures to Salisbury are generally for the purpose of documenting dead birds for the SEANET program. This means a 1.5 mile round trip, and, when in the company of two young boys, about an hour and a half. Thanks to donors, students are island bound! We at SEANET are grateful for our affiliation with Tufts Cummings School of Veterinary Medicine. But while the University can lend us its name and prestige, and give us much appreciated office space, the school is unable to offer any funding to SEANET. We raise all our own salary, training costs, and other funds ourselves, and we are particularly grateful to the individual donors who see fit to give to us year after year. As we look toward the summer, our own Dr. Julie Ellis is gearing up for the year’s field season on Appledore Island in Maine. 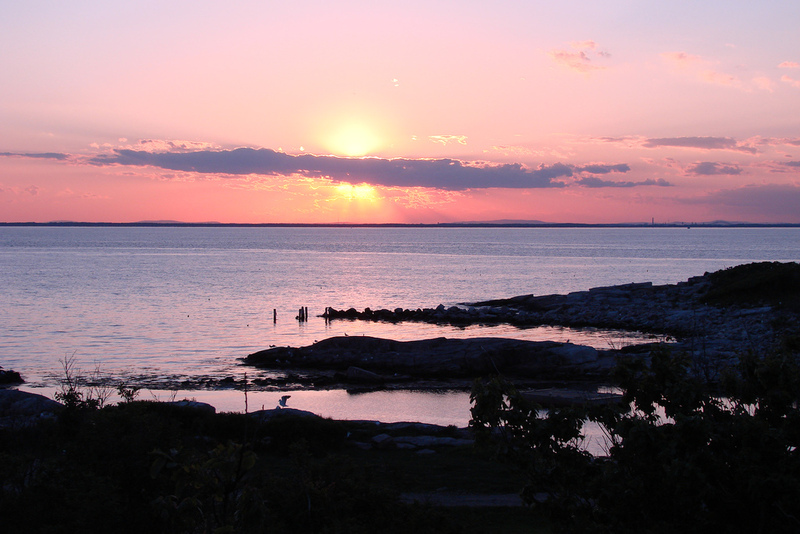 Appledore is the site of the Shoals Marine Lab, jointly run by Cornell and the University of New Hampshire. In the summer months, the island is alive with the hum of students taking classes and doing field research, as well as the incessant calling of the breeding gulls. Julie will be running two weeks of field study on the island: one in mid-May and a second in mid-July. The work is physically challenging and labor intensive, requiring several people divided into two teams. We are always excited to offer this opportunity to undergraduate students, and we have had many excellent ones join us over the years. Given UNH and Cornell’s role in running Shoals Marine Lab, it’s not surprising that most of the students spending time on the island come from those institutions. This year, we are delighted to cast the net a bit wider. Thanks to the generosity of donors Tracy Holmes and Mary Wright, we will be able to fund two students from North Shore Community College in Massachusetts. The students’ boat transportation, housing and food will all be covered, allowing students of slim means to take advantage of this incomparable opportunity. I have begun the process of recruiting these students and wish to express both my and Julie’s gratitude to Tracy and Mary for making this possible. Shoals can change lives; I’ve seen it. And I am proud that students from the institution where I teach and which I have come to love will be able to have this chance. Our Bird A once looked more like this masked bandit. I’m glad I postponed this DBQ answer reveal, because we ended up with a wealth of responses. 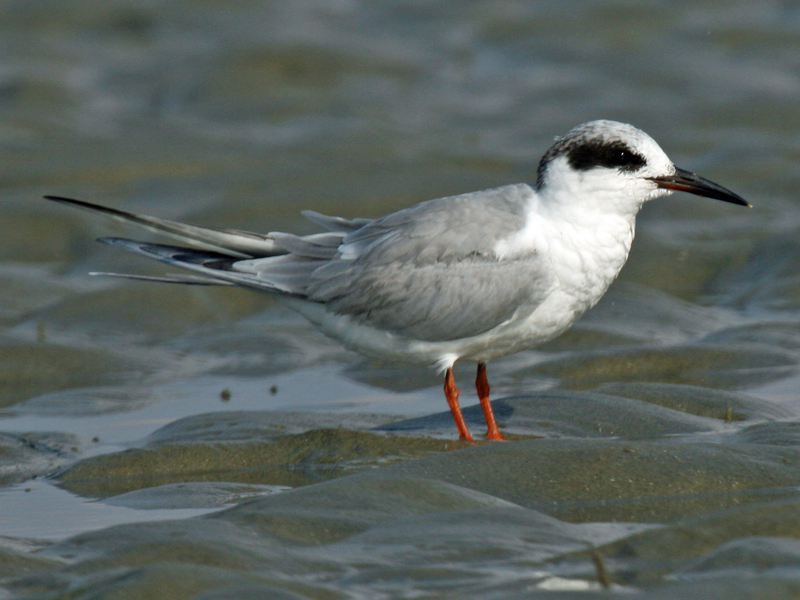 First to ring in was James Taft, suggesting Forster’s Tern for Bird A. Subsequent guessers Mary Wright and Wouter van Gestel concur, as do I. It’s a relatively easy thing to identify an intact carcass. For the dead bird enthusiast looking for pointers on this i.d., the Forster’s Tern (FOTE) is most likely to be confused with the Common Tern (COTE). Notable differences: in non-breeding plumage, FOTE have a dark “mask” encircling each eye with a lighter nape of the neck. The COTE, on the other hand, always has a black nape, and either a complete or partial black cap, depending on the season. Breeding FOTE also have a black cap, however, so in that case, the bill color can be of help. It’s dark orange-red in breeding COTE, and pale orange with a distinct black tip in breeding FOTE. Bonus on our Bird A: it’s a species for which we needed pictures for the upcoming Field Guide, so I was doubly excited to see this one submitted to the database! Bird B generated a collection of conflicting identifications from four contestants: Juvenile Laughing Gull (James)? Black Gull (Nancy)? Sooty Shearwater (Mary)? Greater Shearwater (Wouter)? This always unnerves me since I do not claim to be an expert at making these identifications and I always feel best when I get a roaring consensus. In this case, I did get a welcome opportunity however: a chance to try out the Wing Key I’m developing for the Field Guide. Following my own key lead me thusly: dark and unmarked upperwing? yes. underwing light? yes. Wing chord greater than or less than 15cm? (and I am aware I failed to give you this info, dear readers; it was 27cm) yes. Underwing light but with darker leading edge? yes. So here’s where it got tricky. The next question in my key is “clean white central underwing? or “smudgy white underwing”? In our Bird B, the light underwing doesn’t look entirely clean white, which would lead us to an i.d. of Greater Shearwater. But it doesn’t look quite as smudgy gray as your typical Sooty Shearwater (the other likely option) either. Based on the wing chord of 27cm, I’d lean toward Sooty though. Wouter’s point that the underwing just doesn’t look dark enough to be a Sooty is well taken however, and leaves me whipsawed with confusion. In this case, it may be the safest bet to call this one “unknown shearwater.” But if I’m bold, I may commit to Sooty. But I’ll choose “somewhat confident” on the dropdown menu if I do, you can be sure. OK, so I’m holding out for a few more responses on this week’s Dead Bird Quiz, though we did get one good response already. Come on people! 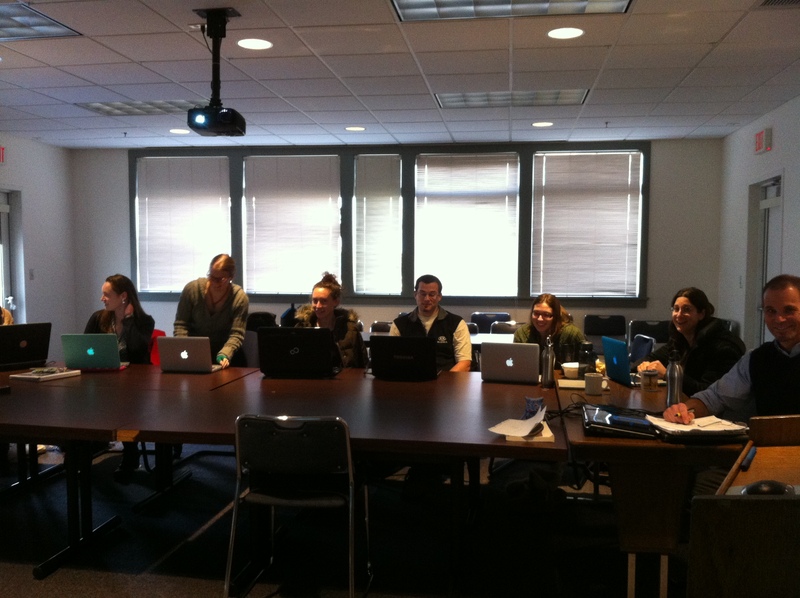 Master’s students and instructor (far right) bathed in the warm glow of laptops. In the interim, I offer you a report on my Wednesday afternoon activities this week. I was invited by the gracious folks (Alison Robbins and Mike McGuill) of Tufts University’s Master of Science in Conservation Medicine program to speak to the Surveillence Methods and Techniques course about SEANET and our data collection methodologies, pitfalls, and hopes for the future. Despite the time (late afternoon) and the setting (a warm, dimly lit room) the students remained awake and asked a number of excellent questions about what we do. One group of students will be working on SEANET for their required project, and I hope to be able to share their work with you at some point in the future. I leap at any chance to talk about SEANET to any audience, and to share with them what a dedicated and committed group of volunteers you are. Now, to my friends in the Northeast, stay warm, stay safe and if you’re looking for something to do during this epic blizzard, may I suggest a Dead Bird Quiz as a diversion? I am sensitive to my New England bias. For one, I was born and raised here. For two, SEANET is based here, and for three, it’s where we continue to have the most beaches and beach walkers. I am constantly working to rectify this, however, and I am very proud of our expansion over the last couple of years into North Carolina (thanks to John Stanton for that). So today, I would like to feature North Carolina birds in the quiz. One is a really tough one–just a single wing. The other one may prove easy for you southerners, and may flummox our northern contingent. We’ll see. Bring on the guesses, my beloved readers! Bird A, pretty well intact. Bird B, upper surface of right wing. 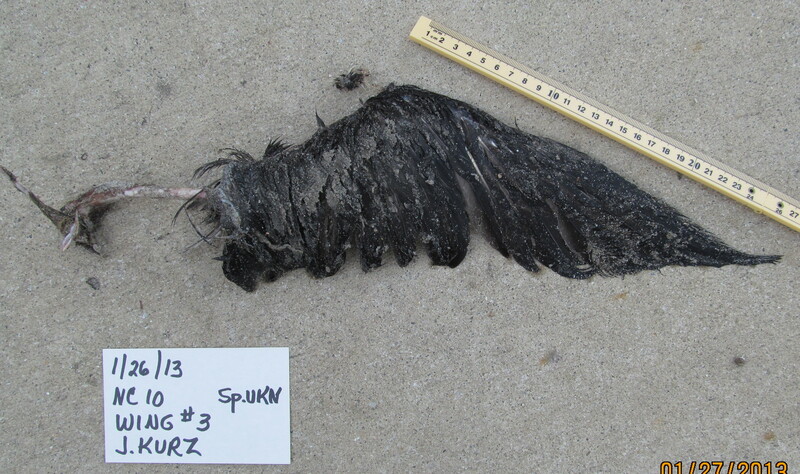 and underside of Bird B’s wing. What’s NERACOOS and why am I only hearing about it now? I’ve spent much of this morning poking around the website of the Northeastern Regional Association of Coastal and Ocean Observing Systems (NERACOOS). I’m a sucker for a cool map or satellite image, and NERACOOS is flush with them. 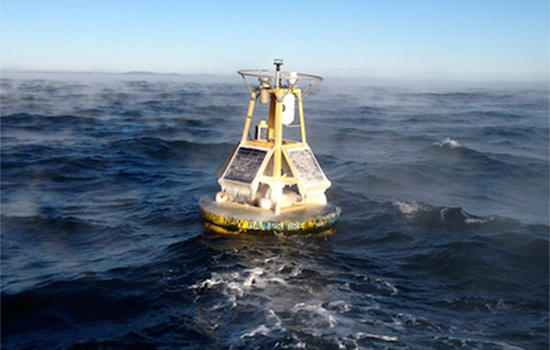 Their site provides access to data on numerous physical characteristics of the ocean environment: surface currents, winds, tides, all the info the fleet of data recording buoys is collecting all the time in the Gulf of Maine and beyond. NERACOOS is also interested in factors beyond physical oceanography, and looks to promote education and outreach as well. Last fall, they held an Ocean Literacy Summit in Rhode Island, and they have made all the materials from those sessions publicly available. Naturally, I was drawn to the heading “citizen science” and flipped through a powerpoint presentation on a project enlisting kids at summer camps throughout New England to collect real scientific data on coastal ecosystems. NERACOOS is just one group whose activities I am learning of shamefully late in the day for someone who works on marine science issues. If you know of other groups or resources that we should be following, please send their info along! Especially for our southern contingent–ocean, coastal, ecological groups doing good work down there? Tell us about it!